For such a small area, your ankles play a vital role in keeping you mobile, but injury or disease in these joints can limit your daily routines. Dr. Leon Popovitz of New York Bone & Joint Specialists is regarded as one of New York City’s best ankle surgeons and has the skill and experience needed to reduce ankle pain and improve function. To explore the available options, schedule a visit at one of the NYC offices in the Upper East Side and Midtown West neighborhoods of Manhattan. What are some common causes of ankle pain? Your ankle is a hinge joint, and contains three bones. Numerous ligaments bind those bones together and connect your ankle bones to those of your leg and foot. Your ankle also contains muscles, tendons, nerves, blood vessels, and other types of soft tissue. A minor sprain or strain will cause a degree of discomfort and swelling, but symptoms should subside after a period of rest, elevation, compression, and icing. If the pain is severe or does not lessen over time, you may need to see a specialist. Is arthroscopic ankle surgery a good option? Many ankle injuries can heal without surgical intervention. Stabilizing the joint and avoiding putting too much weight on an injured ankle can give your body time to heal. However, there are some cases in which extensive ligament damage, fractures, or other serious issues require surgery. Arthroscopic surgery is often a great approach to ankle repair. Because the ankle is such a small area of your body, arthroscopic surgery allows your surgeon to access the site and complete repairs without the need for a large incision. Arthroscopic procedures lower the risk of infection and complications, offer a speedier recovery, and reduce blood loss. What is the recovery process like after ankle surgery? Your recovery process depends on the type of repair completed and your overall health. You’ll need to give your ankle time to heal, which means limiting the stress placed on the joint. Your specialist will advise you on the need for temporary assistive devices and give you an idea of when you can resume normal activities. The best way to recover from any surgical procedure is to follow your post-op instructions as closely as possible. Your specialist will give you guidance on how to care for your ankle in the days and weeks after your procedure, and will check on your progress during follow-up appointments. 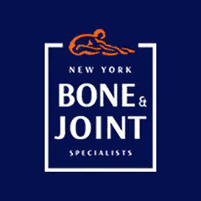 When you’re ready to get started, book a visit with Dr. Leon Popovitz of New York Bone & Joint Specialists online or by phone.